George Keegan, Robert Stafford, Grace Atherton, Griffith Beers, Robert Buell, and Nora Caulke. 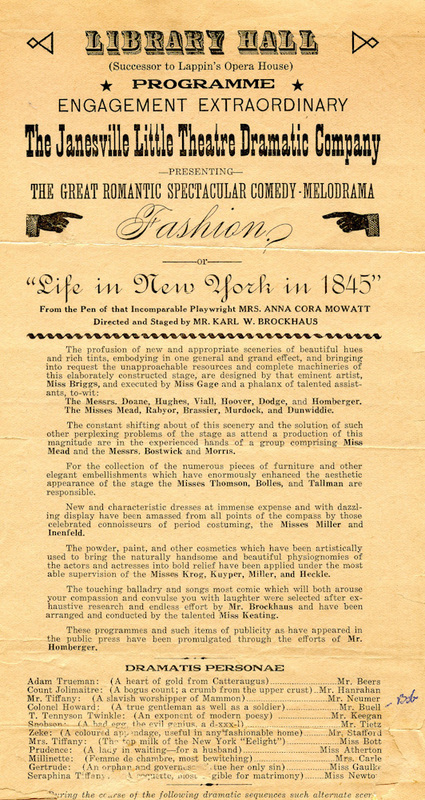 Fashion is an 1845 play by Anna Cora Mowatt--the most popular of her works. 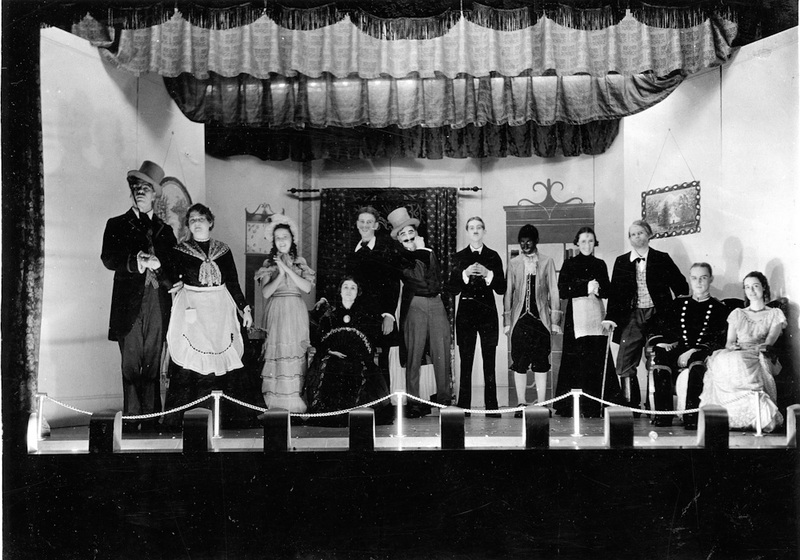 Fashion as comedic melodrama represented the form of theater from which the Little Theater Movement broke away in 1911. 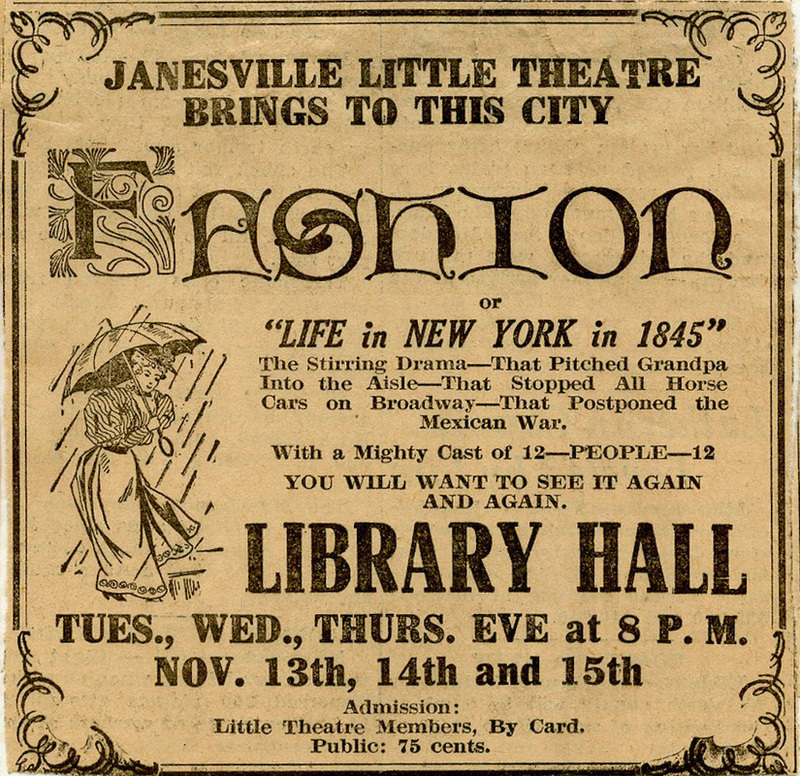 Janesville Little Theatre's 1934 production of Fashion, directed by Karl Brockhaus, may have served as an amusing reminder of how far drama had come since the beginning of the movement. In this production characters sang songs of the period between scenes, including "My Mother Was a Lady" and "Camptown Races."